#Bengaluru you have always been special! We sang the victory song and lifted the trophy of #Champions last night. 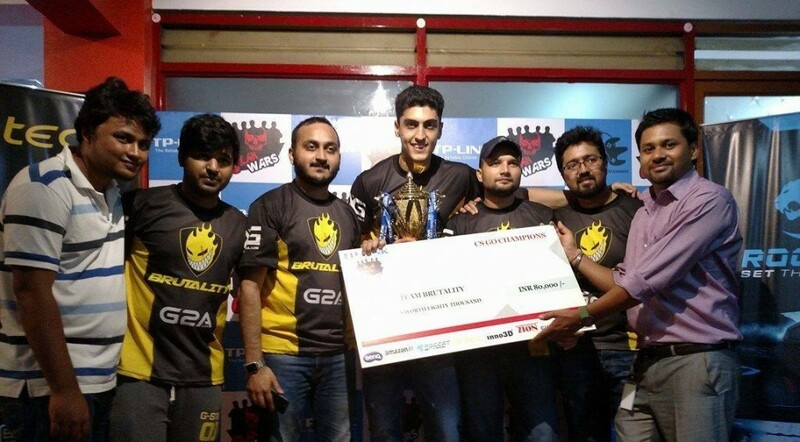 Team Brutality powered by ZOTAC India, SoStronk, Antec India, Esportclothing, LXG – League of Extraordinary Gamers, Gunnar Optiks India and Mad Catz India have won Clan Wars season 5 after a nail biting best of 3 where we defeated ‘Overcome’ 19-15 on Overpass and 16-11 on Dust2. A big hug to all those who came and supported us. This wouldn’t have been possible without your love. Shoutout to Ashwin Jain and the team of ARG Lounge for inviting us. We know there were some unwanted hassles last moment but at least they finished the event after many difficulties. You can see detailed results on the matches page! Until next time, keep supporting and stay #BRUTAL!